Giuseppe "Joe" Violi of Hamilton leaned from the prisoners’ box and kissed his newborn daughter moments before he was sentenced to 16 years in prison for fentanyl and cocaine trafficking in Milton court on Friday. The infant, born last Sunday, was held up to Violi, 47, by a family member before Justice R.J. LeDressay entered the Milton courtroom. Guiseppe "Joe" Violi of Hamilton was sentenced to 16 years in prison for fentanyl and cocaine trafficking in Milton court on Friday. The son of a murdered mob boss, Violi, smiled broadly after he tenderly kissed his daughter. He wore handcuffs during the brief, emotional encounter. Violi, who manages a linen and laundry services company, was arrested along with eight other alleged organized crime members in a sweeping investigation into the fentanyl and cocaine trades across southwestern Ontario and New York. His older brother Domenico Paolo Violi, 52, was also charged in the case and has not yet come to trial. LeDressay was provided with 10 letters of support for Violi’s character, including one from a priest who said he worked as an art historian from the Vatican before moving to Canada in 2015. LeDressay noted Violi has no convictions since 1999, when he was found guilty of mischief under $5000, and 1996, when he was convicted of conspiracy to commit an indictable offence and sentenced to seven years and 10 months in prison for conspiring to smuggle cocaine. The three-year RCMP case — called Project Otremens — relied on a police agent who was inducted into the mob during the investigation. “The agent was a trusted associate and then official ‘made’ member of the New York City based ‘Bonanno’ crime family,” according to the agreed statement of facts in the case, drafted by Andreopoulos and defence lawyer Alan Gold. 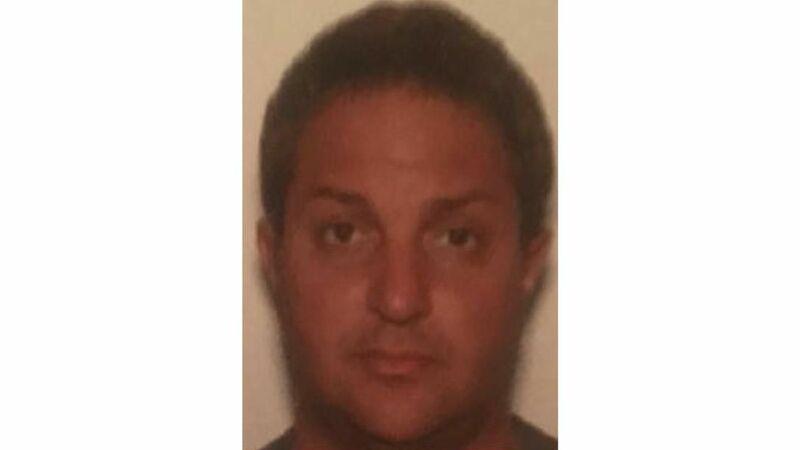 The agreed statement of facts noted that Violi worked with Massimigliano Carfagna of Burlington in a cocaine importation scheme to import 200 to 300 kilograms of cocaine into Canada. “Ultimately, Violi, Carfagna, and the Agent travelled to Vancouver, British Columbia, and met with an undercover police officer who represented himself as being an associate of the Agent, and an experienced cocaine trafficker,” the agreed statement of facts states. Much of their communication was done with PGP encrypted messages, the agreed statement of facts states. The court document includes a transcript of a March 30, 2017, conversation between the agent and Violi in which Violi talked of his history in drug trafficking in the Hamilton area. “You were dealing with crack too?” the agent said. “A lot of people here were crack heads?” the agent asked. “Oh, after a year, me bringing … you should have seen the city,” Violi said. The report notes how the police agent made a payment to Violi by leaving $40,000 in an old BBQ. Details of the drug conspiracies contrast sharply with the portrait of Violi from the support letters, which describe him as a longtime benefactor of children’s sports and charities in the Hamilton area, as well as a loving family member. Paramedic Mario Posteraro of Ancaster praised Violi for volunteering time and money for the Heart and Stroke foundation and the Canadian National Autism foundation. “Joey has never said ‘No’ to any request made of his time,” Posteraro said. Violi’s wife, Stephanie Violi, described him as the doting father of two boys and two girls, all under four. “His Chair is empty, and they keep waiting for papa to come home,” she wrote. Another of the letters of support came from Rev. Father Francesco Cucchi, who described himself as “former art historian of St. Peter Basilica in Vatican City, now in the Hamilton Diocese.” Cucchi said he met with Violi and his family often since arriving in Hamilton in 2015. “He was always very funny, and he was so patient to give me some driving lessons with his SUV,” Cucchi wrote. Violi’s older sister Nancy Violi wrote that he stayed in the same household as his widowed mother, even after his marriage in 2013. Violi’s father, Paolo Violi, was murdered in 1978 in Montreal during a mob war with the crime family of the late Vito Rizzuto. Two of Violi’s uncles were slain during the same conflict in Montreal. After the arrests last fall, police said their seeing a recent trend of organized criminals moving deeper into the opiate trade. Undercover officers allegedly bought six kilograms of fentanyl and carfentanil in six transactions in the operation. Violi is a grandson of the late Giacomo Luppino of Hamilton, who was considered by police to be a founding member of the Crimine, a governing body for criminals in the ‘Ndrangheta crime group and a long-standing associate of the Buffalo mob.